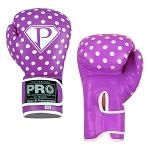 You need more than just one pair of pro boxing gloves. 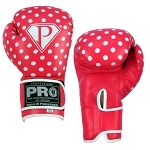 Training gloves and competition gloves are quite different. 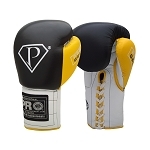 Training gloves are more padded to keep your hands safe during training, whereas professional boxing gloves used in competition are less padded to deliver more damage to your opponent in competition. 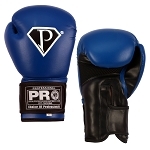 Here at PRO Boxing, our gloves are made to last through the long hours of training or the many rounds of your next fight. 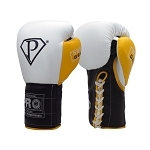 Each pair is designed to provide you the protection you need. 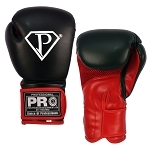 From 2 oz all the way up to 20 oz, our professional boxing gloves come in all the sizes you could need. 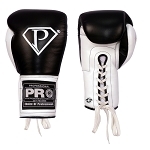 Our pro boxing gloves are made out of high quality leather and best of workmanship. 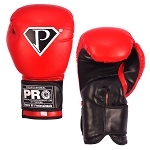 Pre-Order - This item will be available on 11/7/2018. 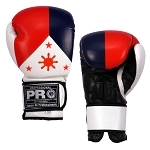 Pre-Order - This item will be available on 2/3/2019.